You may be aware that Bullish does a lot of things: this site, The Bullish Conference, the Bullish Society, and the shop – and now a meal kit startup. And also I (Jen) have a 7 month old baby. What the hell, how does any of that work? But it does! A lot of that is due to Jenny P., Bullish’s first full-time employee, who came onboard in February. And some of that is due to automation, via tech tools as well as just good old-fashioned rulemaking. 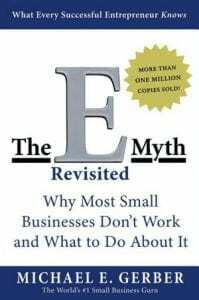 I was first introduced to this concept via the classic business book The E-Myth Revisited: Why Most Small Businesses Don’t Work and What To Do About It, in which author Michael Gerber cautions against starting a business just to create another job for yourself, in which the work is performed by you or dependent on you – that kind of business doesn’t give you much freedom, nor can you really sell it, since it’s basically just you working for money. The answer is that you need to make systems that work consistently, where you can slot new workers into those systems and remove yourself from having to intervene (much) in those systems. At the far end of that, you’ve got fast food jobs where new workers can prepare food, theoretically, “by pressing a button” (don’t get me wrong – #fightfor15). Here at Bullish, there are plenty of routines that need to be, well … routinized. For instance, when we announce a new webinar, where do we announce it? When? On what social media do we repeat that message? Who performs those actions? How low should our inventory of Smash the Patriarchy pens go before we reorder? Where do we order from, which payment method do we use, and who needs to approve it? 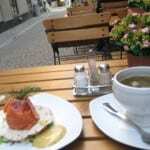 When you publish a blog post, what is the procedure for promoting it? Do you ever write a blog post and then realize you need a graphic for it and you’re already kind of exhausted and now you’re grumpy? PROCEDURES. Often manifesting as checklists. Furthermore, some of these tasks are for humans (for example, sending emails to people in your network politely asking them to link to your blog post or project). And some of these tasks are for robots. I like to handle Twitter myself, because I don’t like to drop what is essentially a marketing message when everybody in Bullish’s feed is talking about something important in the news cycle. I like to be part of a real conversation about things that are important. But Pinterest? Pins are not particularly timely, they are essentially stand-alone (they’re not part of a “conversation” with other pins), and no one cares if software just pushes your new blog posts and products to Pinterest. And no human ought to be cutting and pasting lists of email addresses from here to there – that’s a job for computers if I ever saw one. At the 2017 Bullish Conference, speaker Emily Chapman will talk more about tools, systems, and processes (full talk title: Tools, Systems, and Processes: A quietly profane, rambling ode to keeping as little stuff as possible in your head because you might get hit by a bus or just not want to think about it). When we’re running Facebook Ads, we try to incorporate testing with different ads, different audience lists and various structures. That means were receiving leads from several different sources. Zapier makes collecting these emails super easy, and puts them right where they need to be in our MadMimi list. You can choose exactly which list each ad set should send subscribers to. Listen, Pinterest can be a deadly black hole. If you fall into it, you might stumble out four hours later only after planning your wedding, learning sixteen new ways to get killer abs and redesigning every room in your house — or is that just us? Zapier allows us to pin things continuously throughout the day without actually having to go onto the site. We know there are a bunch of bullicorns out there who’ve been looking into creating online classes and Teachable is a great tool for this. 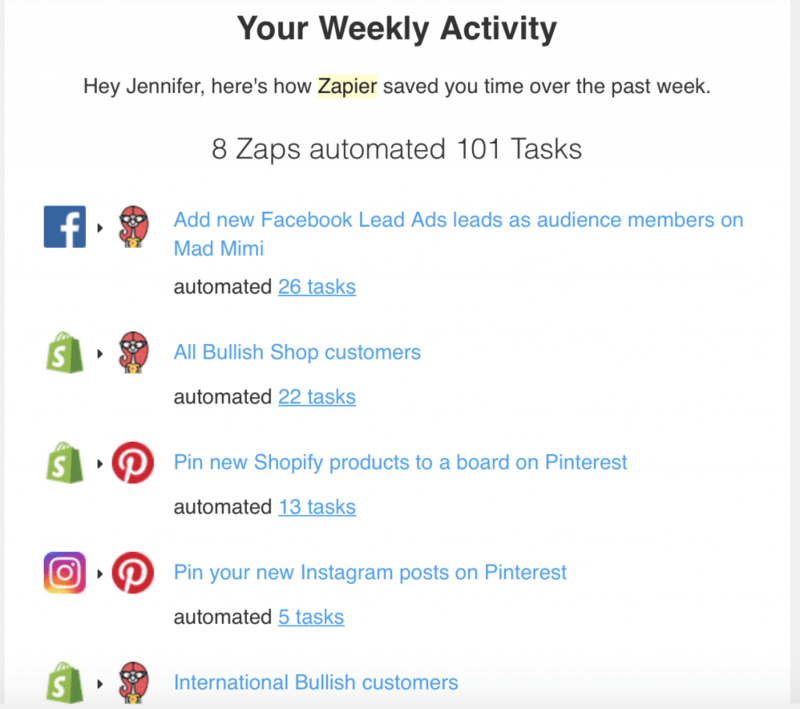 We certainly don’t want to miss out on our subscribers who’ve been interested in our classes, so Zapier send these leads right over to MadMimi. 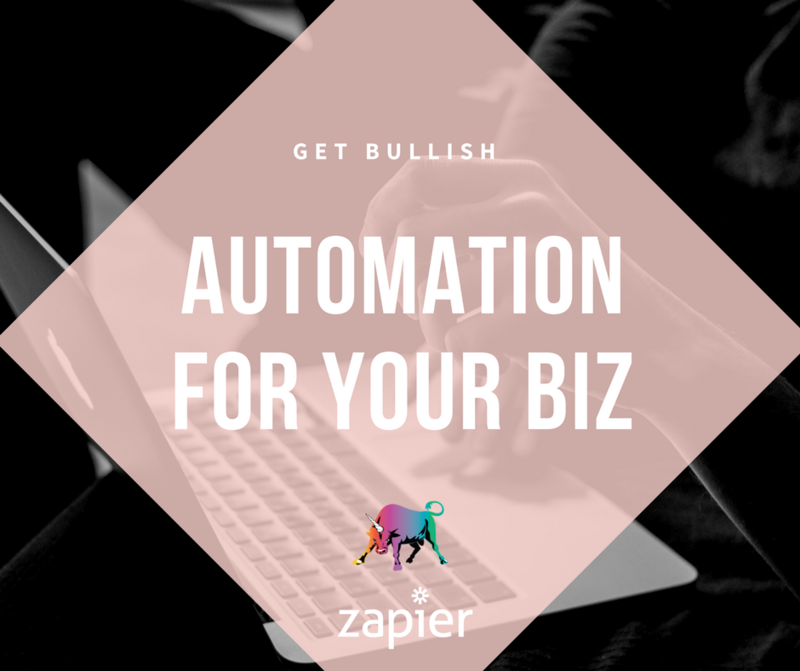 They have so many integrations, so no matter what email service you use, you can set up an easy zap to move over the leads so you don’t have to think about it. This is probably the best Zap there is… IMYO. Zapier seamlessly transfers over all of our newly added products AND all of our new subscribers from our Shopify site. Enough said. As some of you know, we’ve recently launched a beta program for Busy Bowl Club. We use Typeform to collect information and data from these, but Zapier make it easy to bring email addresses straight over to a specific list. This helps us segment and save time so we’re not sifting through hundreds of emails. Honestly, we need to do this kind of marketing to run our company and pay the bills, but when I first started Bullish, I really just wanted to write articles about killing it in life and careers. I did no marketing … which was easy because Bullish wasn’t really a business. I was killing it over in my other career, teaching the GMAT, writing math books, getting my masters in education, and shouting about math at Wall Street bankers (for the GMAT, again). 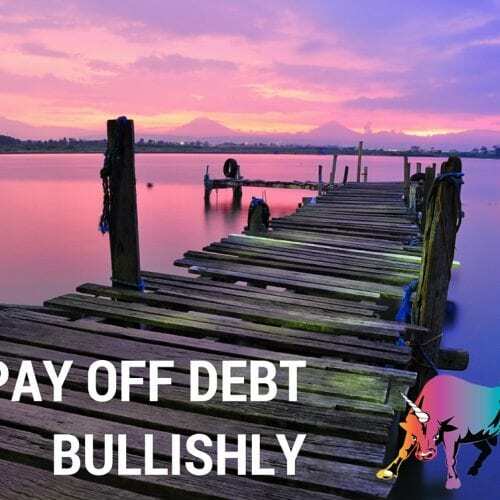 When Bullish became a business – our first conference took place in 2013, and the shop came shortly thereafter – all these marketing tasks started encroaching on the things I really wanted to do. Marketing isn’t evil, it’s just not really where I want to spend time I could be writing, enteprenreur-ing, or drinking Old Fashioneds in hotel bars. We may not be the most advanced at automating yet – Jenny and I still send each other fifty emails a day – but the more we can get off our plates the better. AUTOMATE YOUR SH*T SO YOU CAN FREAKING LIVE.